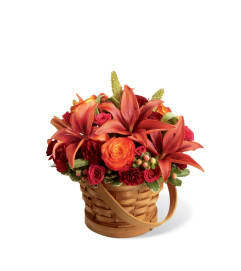 The FTD® Bountiful™ Rose Bouquet is the perfect offering to send throughout the fall season expressing warmth and gratitude at every turn! 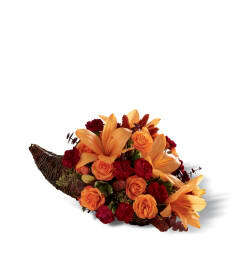 A beautiful collection of orange roses, white roses, orange spray roses and white spray roses accented with lush greens are perfectly arranged within a designer ceramic pumpkin inspired container to create an eye-catching flower arrangement. 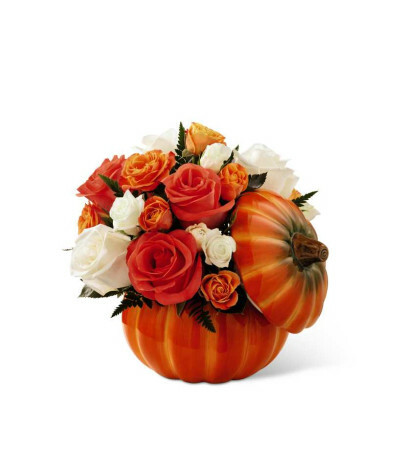 The pumpkin container arrives with a lid to be a cherished keepsake long after the initial offering of flowers has faded to make this rose bouquet a wonderful Thanksgiving, Halloween, birthday or thank you gift.